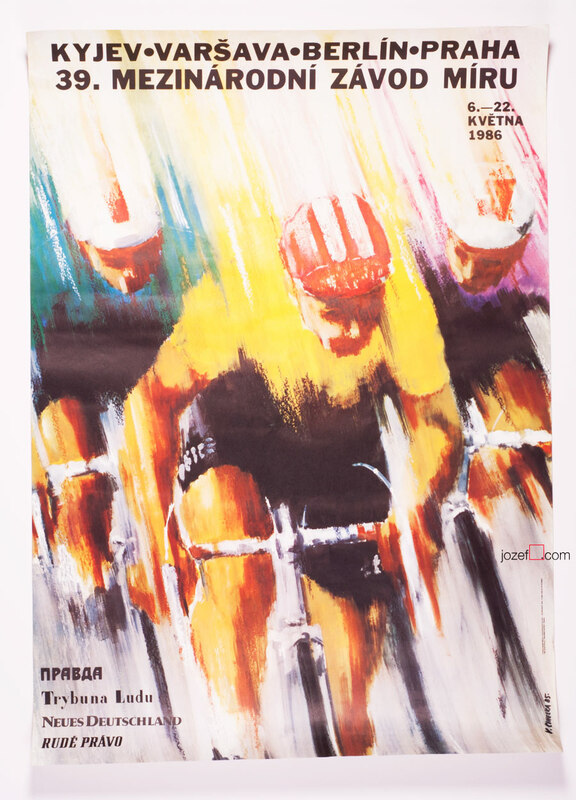 Vintage poster designed for the legendary amateur cycling competition from behind the “Iron Curtain” The Peace Race / Course de la Paix with fantastic illustration by Vilém Cihelka. Vintage cycling poster designed for the 39th Course de la Paix / The Peace Race. 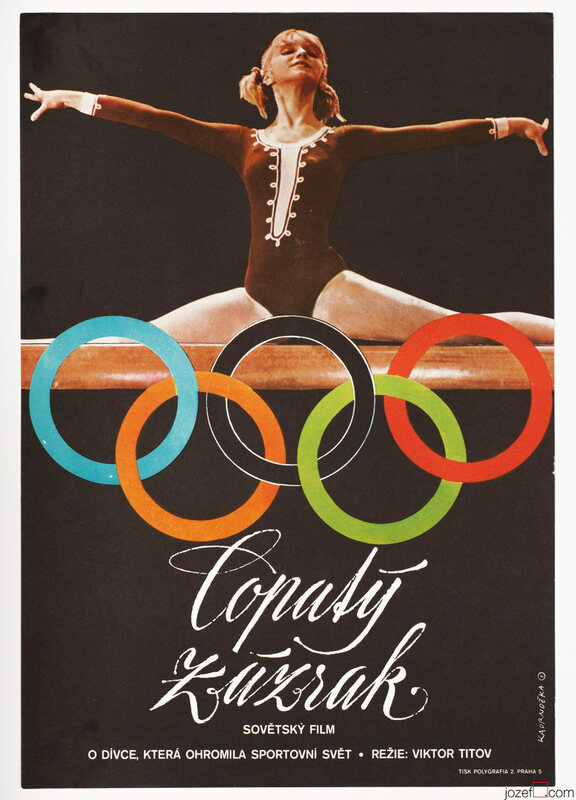 Poster has been previously rolled. Slight crease with small cracks on edges. 3cm crack in top left corner. Top right corner with slight fold. Gentle stain across the back. Excellent condition. 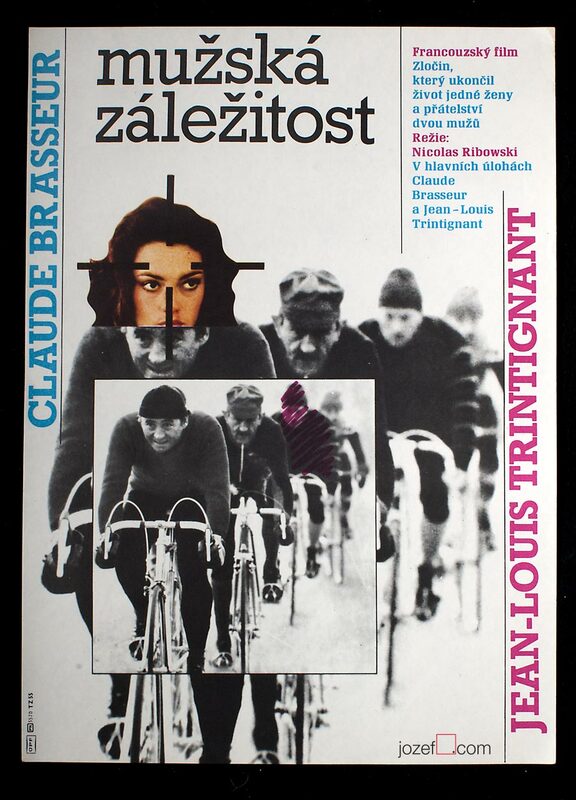 vintage cycling posters designed in Czechoslovakia. 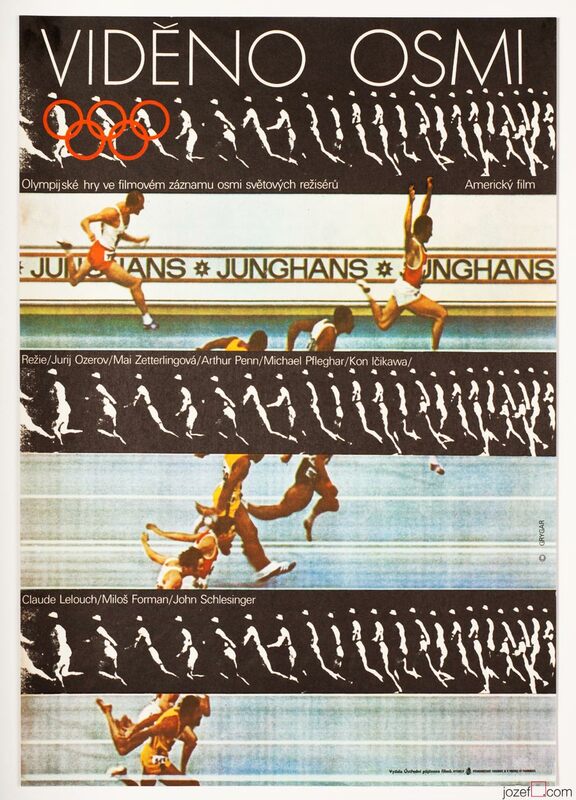 sports posters available in our online shop. 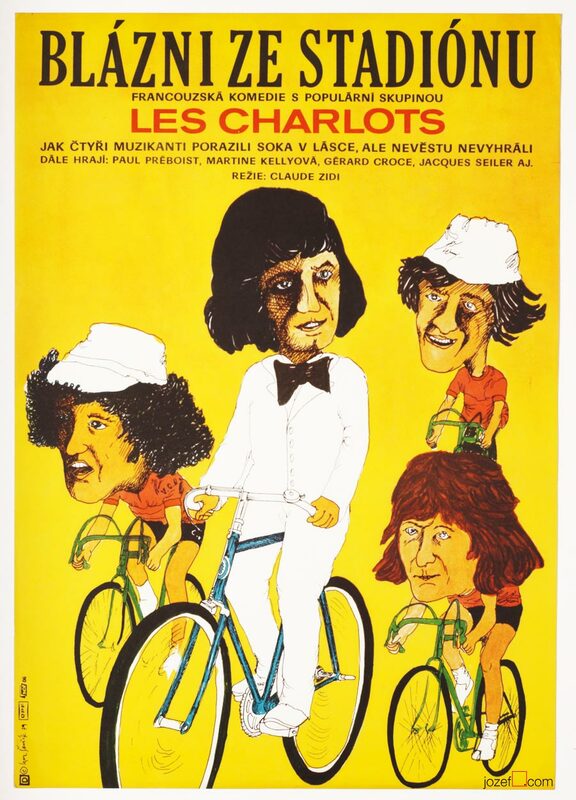 Be the first to review “Cycling Poster – 39th Course de la Paix / The Peace Race, Vilém Cihelka, 1985” Click here to cancel reply.